Panasonic boasts an impressive list of landmark firsts. Its DMC-L10 was the first camera to feature a Live View LCD, while the Lumix G1 was both the first interchangeable lens mirrorless camera (CSC) and changed the optical viewfinder for an electronic one. 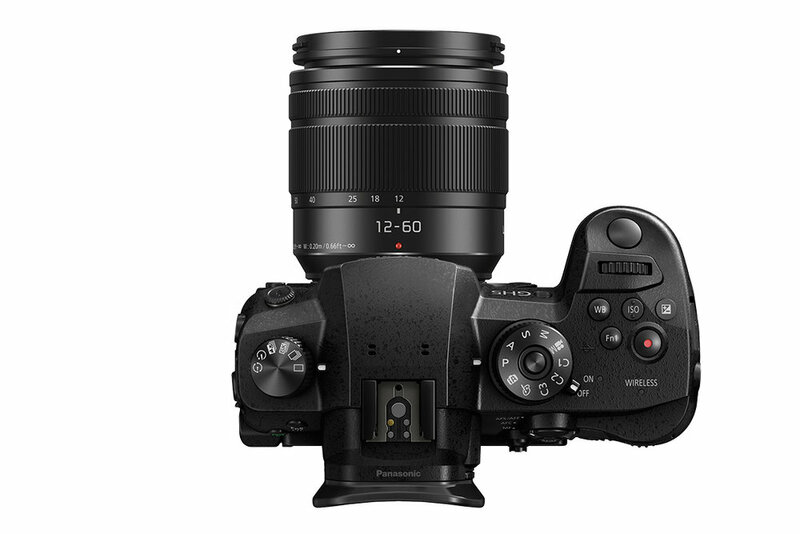 Panasonic also created the astounding FZ1000, the first compact to shoot full 4K video. The 20.3MP Live MOS sensor is easily capable of standing alongside higher megapixel rivals, with the Venus Engine 10 offering up some seriously impressive results. The lack of an optical low-pass filter results in brilliant clarity and sharpness. The colours are vibrant and the dynamic range is very impressive, even against top-level DSLRs such as the Canon 5D MkIV. The improved 3.2in free-angle LCD displays at 1620k-dot, and the touch functionality is very responsive. The OLED Live View EVF now boasts a mind-blowing 3680k-dot (over the GH4’s 2359k), offering a magnification of 0.76x (53mm equivalent) and 100% field-of-view coverage. While lag hasn’t been totally eliminated, it is barely noticeable. The focus system is a 225-point contrast-detect type. The lack of phase-detect isn’t a problem though – the updated Depth from Defocus (DFD) technology makes the autofocus incredibly snappy (up to 0.05sec) and impressively accurate for stills. However, we did notice that with 4K video the AF seems to lag somewhat, which will hopefully be addressed in a future firmware update. Panasonic’s familiar 4K features, such as Focus Stacking, Post Focus and 4K Burst, are all present. The addition of a 6K mode allows you to use the same amazing range of tools but save the stills at 18MP, 10MP more than the 4K 8MP output. The GH5 also includes 5-axis in-built image stabilisation, which works with the lens’ in-built Dual 2 IS, giving you up to 5 stops to assist with handheld shooting. The Lumix excels at video, as it’s packed with high-tech features. Unlimited UHD 4K recording is extremely welcome. So too is the 180fps capability of the 1080p HD mode, making 6x slow motion capture a beautiful reality. 4K no longer crops into the sensor like it did on the previous model, meaning a wider field-of-view at the same focal length. Currently it can record 4:2:2 10-bit footage at 30p, though a proposed firmware upgrade (this summer) will allow 60p recording, meaning you have a lot more scope for colour grading in post-production. The same firmware update will also bring 6K anamorphic video mode (4:3) shooting. Panasonic has released a V-log update for serious videographers, allowing you to load LUTs (Look Up Tables) to the camera, though this is a paid-for upgrade. The HDMI port is now full-size, so linking to external monitors is easier than ever. Other notable additions include the Vector Scope and Waveform Monitor readouts, as well as a pre-configurable rack focus mode, all of which are a real coup in an enthusiast body and make the GH5 hugely appealing to prosumer movie makers. If you’re familiar with the GH4 then there won’t be many surprises here. 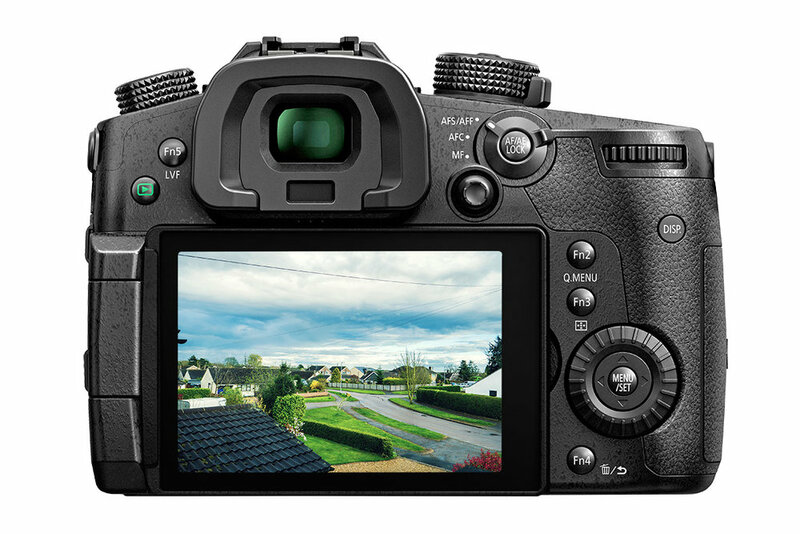 The GH5’s layout is very reminiscent to that of its predecessor, though there is now a thumb-stick below the focus switch and the dedicated recording button has been moved to the top-plate. Both work well, though I found the thumb-stick to be too far out of reach for my comfort. The inclusion of these, as well as the full-size HDMI socket and dual SD card slots, has resulted in a 13% increase in size, with the GH5 weighing in at 725g. The added weight doesn’t affect the feel, however, with this camera being super comfortable to use handheld. The magnesium alloy body is extremely rugged, with Panasonic including weather-sealing on every joint, dial and button. The robust nature of the GH5 doesn’t stop there though, as the shutter itself is rated for 200k shots, which should be more than enough for even the most prolific shooters. Having had so many tweaks and improvements, the GH5 handles exceptionally well in the field. The contrast-type DPD autofocus does an exceptional job, and has clearly benefited from an overhaul. Similarly, the tracking mode makes short work of keeping up with moving subjects, though it did struggle with some very fast-moving objects in testing. The stills half of the GH5 is a big step-up from the 16.5MP GH4. The increased sensor resolution, impressive sharpness and the beautiful, natural colour rendition are all impressive and really come to life through the 3680k-dot EVF. The button placement is well thought-out, with only the position of the thumb-stick being slightly awkward. Adding the dedicated video button to the top-plate, instead of having it on the rear of the camera, gives it a very intuitive feel, almost like having one shutter for movie and one for stills. The autofocus does a good job in low light conditions, working comfortably from the light of a smartphone, and the intuitive button placement means operation in the dark is easy. If you’re not familiar with the Lumix range, the touchscreen will let you achieve near enough anything you need, from adjusting settings (through the Q menu) to taking the shot, and it’s amazingly responsive. The paired Leica 12-60mm f/2.8-4 lens offers a beautiful level of detail, with its own IS working in conjunction with the camera’s in-built Dual 2 IS to provide up to 5 stops of compensation. The in-lens IS is particularly useful for longer focal lengths, when sensor-shift IS is less effective. Equally impressive is the way it resolves its bokeh (the out-of-focus area) with the 9 diaphragm blades to create near-circular blur. Though the GH5 comes with three possible kit lenses, this 320g, 24-120mm equivalent is an exceptional partner-in-crime for this camera. The 4K and 6K capture modes are both extremely impressive, and the clarity at which you can take images from a 6K burst and save at 18MP is, frankly, astonishing. It is even able to keep up with high-speed panning, thanks to the continuous autofocus setting. For those that like to remain a bit more traditional, however, a claimed 12fps (we only managed a maximum of 9fps) in burst mode should supply more than enough shooting speed. Post Focus is a brilliant feature, giving you the ability to change your focal point after the image is taken. It also allows focus stacking for an ultra-wide depth-of-field. However, a tripod is recommended for the latter, since the end image is comprised of several shots and slight movements will cause misalignment. One slight complaint is the noise handling, which doesn’t seem to have come on that far from the GH4. Degradation becomes noticeable at ISO 6400, and finer details start disappearing. This isn’t a major gripe, though it would have been great to see the camera excel to its maximum of 12,800. This issue also affects the video modes, which are otherwise outstanding. The GH5 is a brilliant, feature-rich camera, which judged alone for its stills capability would fare exceptionally well. The quality is outstanding, from sharpness to dynamic range, and vibrancy in the colours is excellent. The addition of internal 4:2:2 10-bit and V-log (optional upgrade – £81), as well as unlimited recording time and shooting uncropped 4K are all amazing. The 6K photo modes, robust design and fast AF are all huge plus points and far outweigh the below-par ISO performance or the misplaced thumb-stick. However, the true strength of this Lumix camera lies in its ability to shoot outstanding video, soon to stretch to 6K with the firmware update. If you are looking for a true stills camera with exceptional video capability, on a relatively small budget, then this is the camera for you.